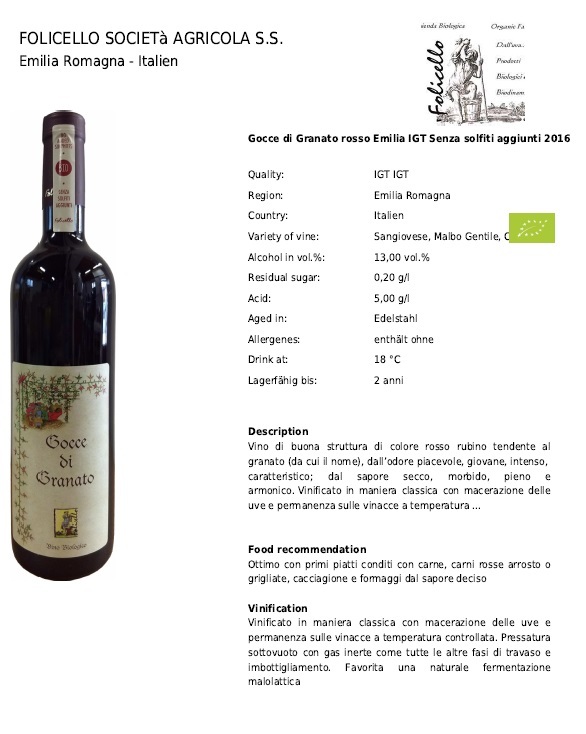 Red still wine “Gocce di Granato dell’Emilia IGT” (vintage: 2016) without added sulphites obtain 80 PAR points (PAR system) at the 9th international organic wine award 2018. For the ninth time, the international wine competition has been take place under the guidance of sensory experts and PAR system developer Martin Darting. The international award for organic wines has become one of the most important tastings in the wine sector. In the year 2018 wineries and distributors out of 28 countries with 1086 organic wines have taken part. All about our new products, upcoming events in our farm and about the Folicello winery!